(Chicken Exploitation - Wishful Thinking - 01) This is Della, a rescued hen living at Farm Sanctuary. This picture used to be typical of hen houses of the past. 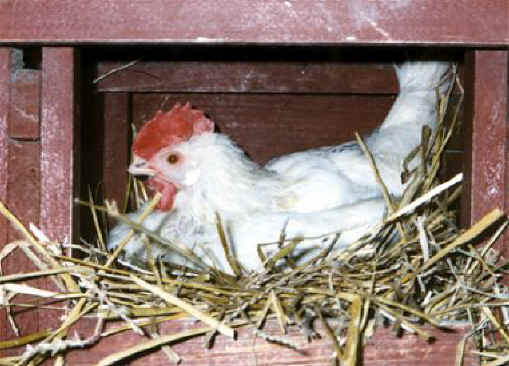 Chickens rarely live this way today, but it's the image that people like to envision.